A new golf cup recently invented which automatically ejects golf balls makes it unnecessary for players to stoop and soil their hands in picking up the ball. All that is necessary is to touch a button in the bottom of the cup with a putter and the ball flies up into the hands of the player. 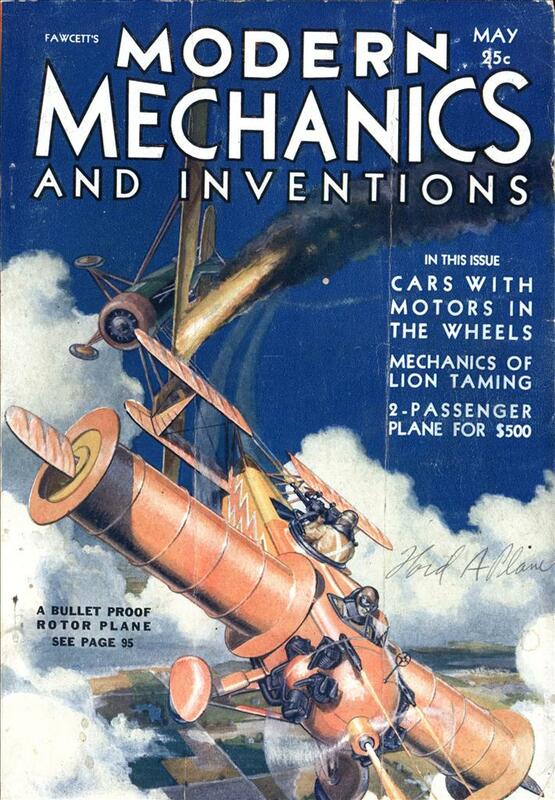 The cup has a hole beneath which is a hammer which is thrust upward by a spring when the button is pressed, throwing the ball three feet into the air, as shown in photo. Almost sounds like a sort of mechanical cartoon gopher. It seems you’d have to have pretty decent reflexes to get the ball without stooping…or spend some time in a loop of putting it into the hole, ejecting the ball, missing it, and having it fall back to earth again. 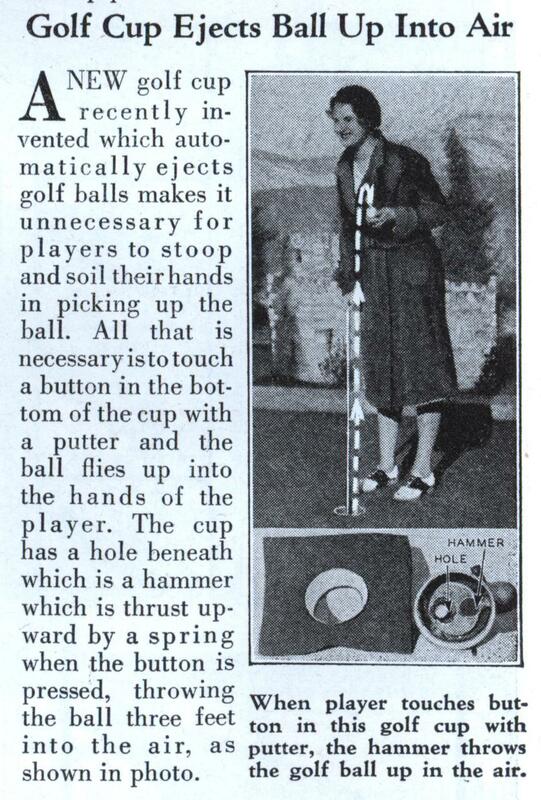 I assume the trigger button was recessed sufficiently that the ball couldn’t hit it as it enters the cup…which would also imply that you need a putter with a pretty pointy end to be able to reach the button. (presumably the handle end). Heaven forbid you get DIRT on your HANDS when playing a SPORT. With a powerful enough spring, you’ll also get DIRT in the FACE. Retrive the ball MYSELF!? I thought thats what the golf slave was for.